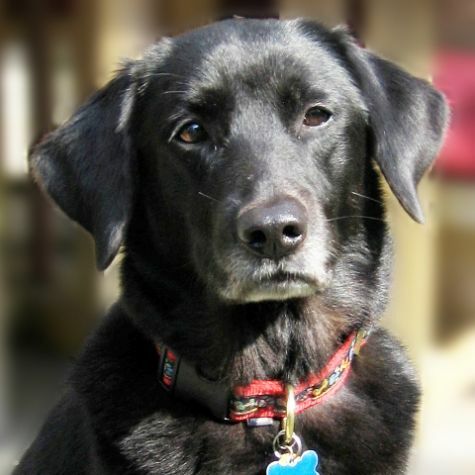 Trixie, a small black Labrador, is a well behaved and good natured pet. Trixie doesn�t wag her tail; she wags her whole body and smiles like a homecoming queen. She grew up with two little girls, so she doesn�t mind screaming, tail pulling, or being sat on. Once, while out for a late night winter walk, Trixie pulled her handler into a neighbor�s courtyard. There was a 92 year old woman who had fallen and was too weak to get up or cry out. Fortunately Trixie found her, and the lady recovered.